10 Mile circuit consisting of 3 laps. 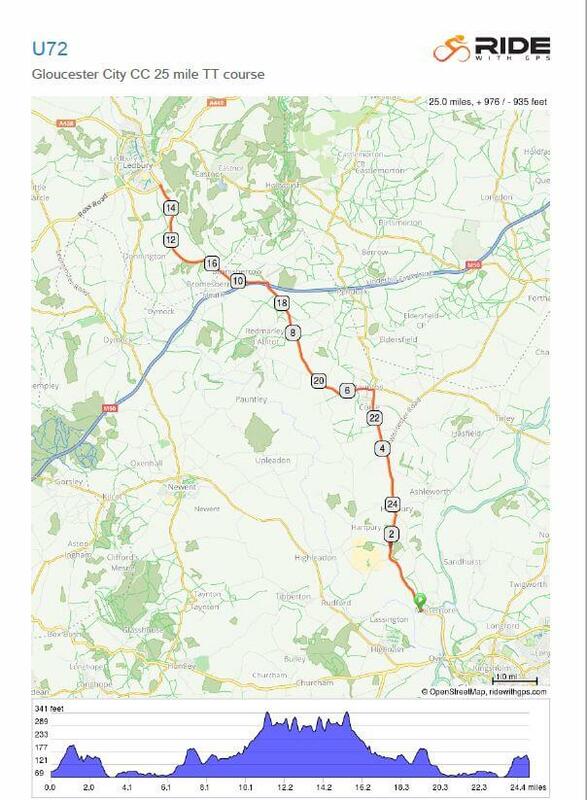 Racers start at the intersection between A417 & Barn Ln and make one large full lap Anti-Clockwise. After the first rotation has been made, turn left into Barn Ln and from this point – complete 2 more full rotations. Start at bus stop lay-by just before the speed de-restriction sign leaving Maisemore (grid reference 811212). Continue to Staunton, turning left at the roundabout. 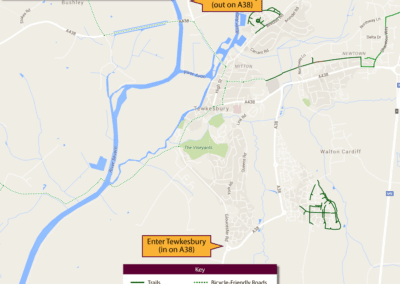 Continue on the A417 across the M50 junction and on to the first roundabout on the edge of Ledbury. Turn here (13.5 miles). 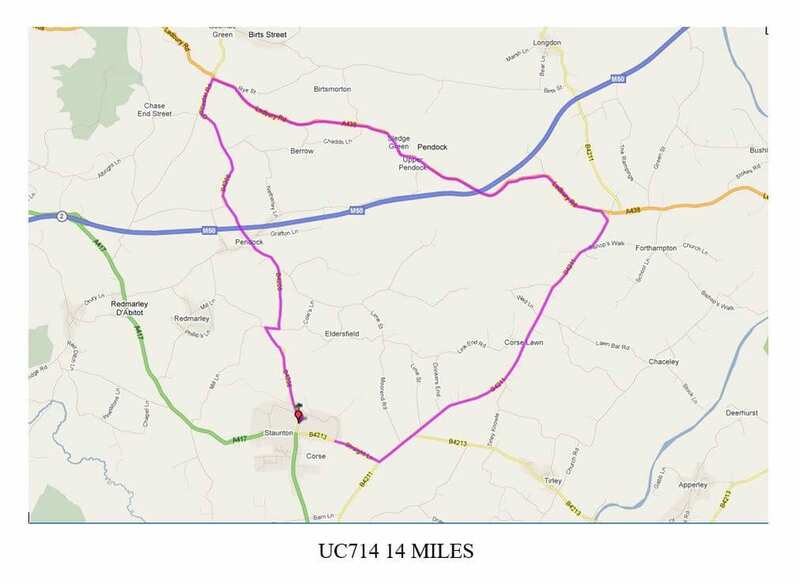 Retrace the route, turning right at the roundabout in Staunton (care). Finish beyond the old school buildings beyond Hartpury at the pull-in by a gate into the woods (grid reference 798234). 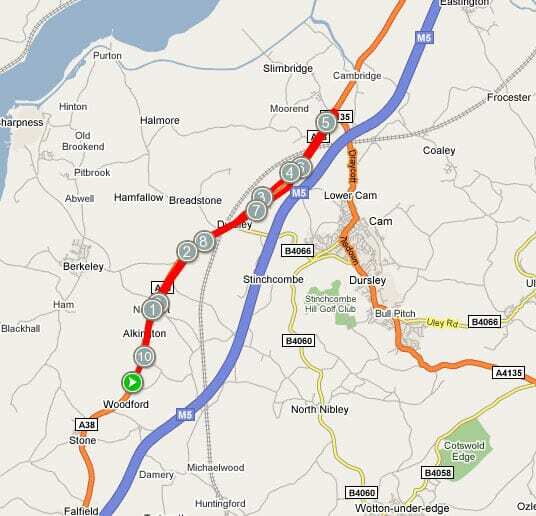 Start / Finish located on Eastern side of circuit, next to Elmore Ln W.
Starting and finishing at the same point alongside the M5, racers must follow the road along until the roundabout just before the River Frome. From here they must circle the roundabout and continue along the same path they came from. you must also pass the Shire Hall in Hereford. 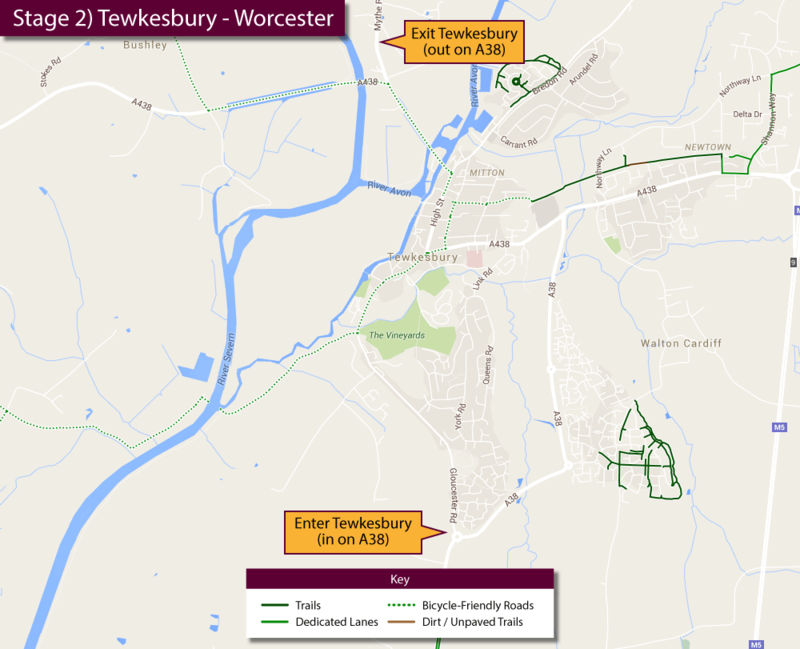 The accepted fastest route is the A38 to Worcester, A4103 to Hereford, and A438 / A4172 / B4215 to Gloucester.